The image posted by the Michigan League for Public Policy. 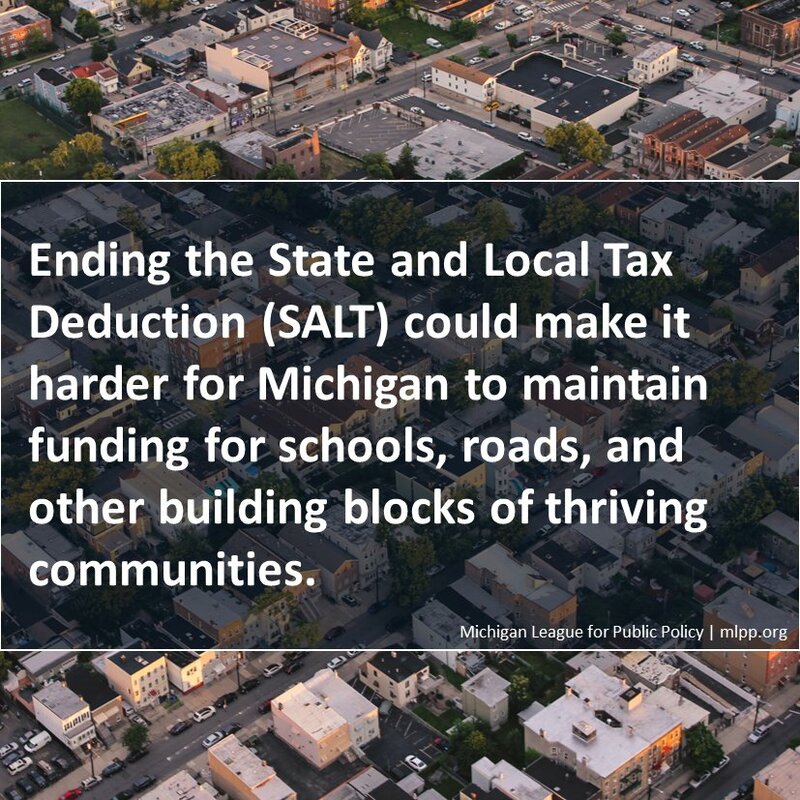 The Michigan League for Public Policy is a progressive think tank which fights against broad-based tax cuts and advocates for changing Michigan’s constitution to allow a graduated income tax and much more government spending. Gilda Jacobs, president of the Michigan League for Public Policy, didn't return an email seeking comment. ForTheRecord says: The deduction for state and local taxes is the third-largest loophole in the federal tax code, costing $1.8 trillion over a 10-year period. According to the Tax Foundation, nearly 90 percent of this benefits people who make over $100,000 annually. So a progressive advocacy group is fighting to maintain a tax write-off which overwhelmingly benefits the wealthy.